So far at the trial, none of the prosecution's doctors has claimed that they could have definitively diagnosed meningitis from the symptoms Ezekiel exhibited at the time. None has claimed that Ezekiel could definitely have been saved, even if he had received aggressive treatment. If you read something in the newspaper, it must be true -- right? No, this is how moral panics get started: by writers who don't get their facts straight but nevertheless publish shocking stories that get further disseminated by outraged readers. Exhibit A: Alheli Picazo's National Post article published March 24, 2016 as "Alberta Shares the Blame," with the online headline of "When naturopathy kills." The article deals with a criminal prosecution currently before a jury in Lethbridge, Alberta. 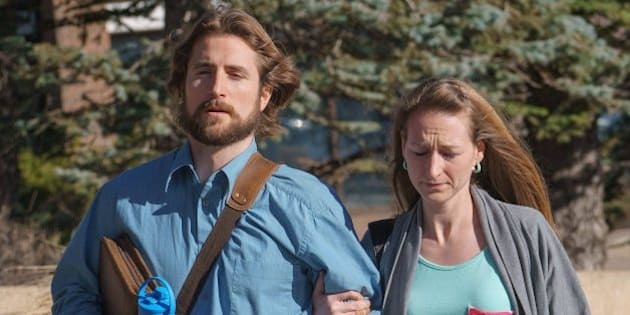 David and Collet Stephan have been charged with failing to provide the necessaries of life to their son Ezekiel, who died in 2012 of meningitis. So far, only the prosecution has called witnesses. The case stands adjourned until April 11, when the defence will begin. "After weeks of trying 'natural' extracts and homemade remedies like smoothies cut with ginger root and horseradish to cure a suspected case of meningitis, 19-month-old Ezekiel Stephan's tiny body had so deteriorated that he was too stiff to bend. Unable to sit in his car seat, Ezekiel's parents, David and Collet, loaded a mattress into the back of their vehicle to take him to a health practitioner -- not a doctor." Those parents must be monsters, right? Actually, no. What's monstrous is the number of factual distortions that Picazo packed into a single paragraph, with not even an "alleged" kicking around to hint that there might be another side to the story. None of the prosecution's doctors has claimed that they could have definitively diagnosed meningitis from the symptoms Ezekiel exhibited at the time. Ezekiel's "suspected meningitis" did not go on for weeks. He had started exhibiting symptoms of a cold, or at worst croup, around Feb. 27, 2012. Over the next two weeks, his symptoms disappeared and returned twice, sometimes appearing like flu, but never including seizures or rash. It was not until March 12 that a family friend -- a nurse who coincidentally knew that there had been a recent case of meningitis in her hospital -- mentioned the possibility of viral meningitis. But based on Ezekiel's mostly asymptomatic condition that day, she said, he'd probably be turned away from a hospital emergency room. Picazo makes it sound as though Ezekiel was getting progressively stiffer over a period of weeks until he was loaded rigor mortis-like into the car to visit a naturopath. In fact, on the morning of March 13, he had been in his car seat, perfectly able to bend. When a crisis arose that evening -- Ezekiel temporarily stopped breathing -- his parents called 911 and set out for the hospital. Picazo says, "Only after their son stopped breathing did the Stephans think it wise to call 911." But wait -- 911 is for emergencies. People who call 911 because their kid has a cold can be fined up to $10,000 in Alberta under the Emergency 911 Act. The unfortunate truth that Picazo omits is that meningitis is an illness that can strike suddenly and kill within a day or two. Usually, meningitis symptoms progress very quickly from bad to worse. Ezekiel's waxing and waning cold symptoms are not typical, and might indeed have indicated nothing other than a cold at that time. The Meningitis Research Foundation of Canada's website contains dozens of stories of meningitis cases that killed or seriously disabled their victims within days. In numerous cases, doctors had examined the victims not long before and sent them home with diagnoses of cold, flu, food poisoning, ear infection, gastroenteritis, pneumonia, etc. Picazo says the Alberta government shares the blame for Ezekiel's death because it licences naturopathy. However, she fails to mention that the ambulance that met the Stephans on their drive to hospital had been stripped of some equipment by that same Alberta government approximately a year before. Consequently, it had no air mask small enough to treat Ezekiel en route to hospital. He spent eight and a half minutes in the ambulance without air. A later CT scan showed brain injury consistent with lack of oxygen. A week after Ezekiel's death, infant air masks re-appeared in ambulances. I can't help wondering whether the Alberta government is prosecuting these parents to divert attention from its own possible liability.